NordicTrack E8.2 Elliptical has an stride that can be maximized upto 20", 22 levels of resistance and 24 workouts apps, along with other features like handle with soft touch grips, comfortable oversized pedals, interia-enhanced flywheel etc. Besides users can enjoy the effect of a real time running, powered by google map or can increase the workout intensity by raising the ramp angle, up to 20 degrees. Its large backlight LCD screen helps you to monitor your workout progress and stay motivated. Frame- Lifetime, Motor Lifetime, Electronics- 1 year, other parts- 1 year and labour- 1 year. *Note: Most of the sites, stores or shopping portals listed above sell NordicTrack E8.2 Elliptical with discounts and other exciting offers. There is a possibility that the some of above websites are not selling NordicTrack E8.2 Elliptical now. Toughtrain.com is not liable for such cases or instances. 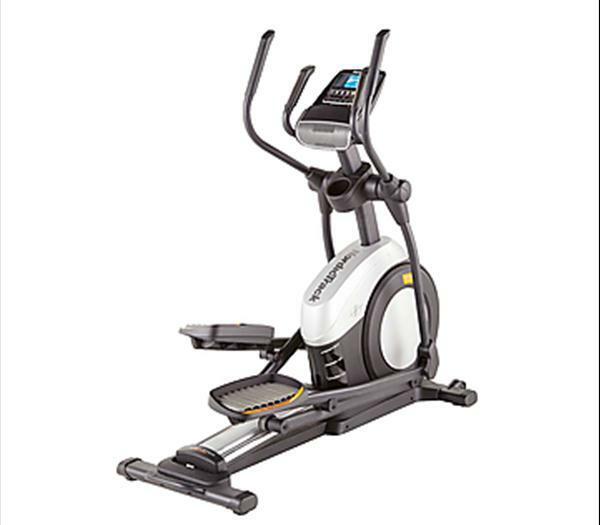 Also we do not recommend any seller for NordicTrack E8.2 Elliptical and a buyer should buy from where he/she gets best deal with quality of products, service and on time delivery (shipment).